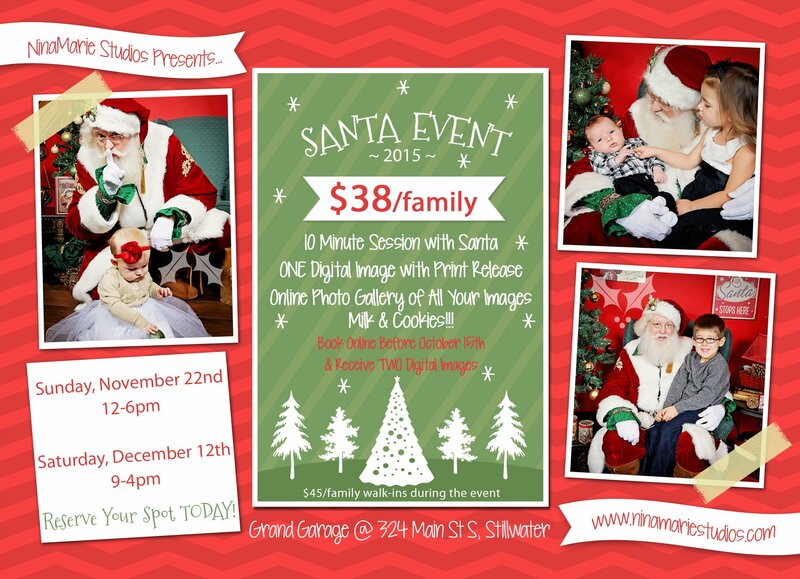 Our 2015 Santa Event is almost HERE!! If you haven't signed up yet, now is the time! Click HERE to book your session before it's too late. Plus book before October 15th and receive two of your favorite digital images from your session. Forget the mall lines, our Santa is authentic and spends time with the kids to get them warmed up. Family wants to hop in a few photos? Sure! This year's colors will be traditional red and green and as always, I will have a custom designed background set and... MILK & COOKIES for all! I hope to see you there. BOOK NOW, spots are already fading fast. PS. Like Us on Facebook to be in the know about special discounts and events FIRST!